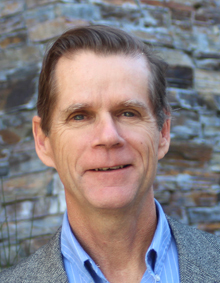 Allen Folks, leader of Ascent’s Urban Design + Planning practice, is a registered landscape architect and urban designer with 34 years of experience in urban revitalization and community planning assignments. He has been responsible for a variety of notable assignments during his career, including the preparation of plans for transit-oriented development areas; public and private institutions; reuse of military bases; public open space; and new towns and communities in the United States, the Asia-Pacific region, Europe, and the Middle East. He routinely manages teams of designers, engineers, environmental scientists, and economists to address urban problems with solutions that have a creative vision and are economically feasible. For public-sector agencies and developer-led consortiums, Allen has led community visioning exercises to seek input, define priorities, and reach consensus. He has prepared urban design plans for specific areas or neighborhoods within Portland, Sacramento, San Francisco, and Salt Lake City, as well as Singapore, Kuala Lumpur, Ho Chi Minh City, and Manila. In many of those assignments, the focus was on developing a public realm as the organizing framework for private sector investment. Allen is currently directing Ascent’s work on the City of Sacramento’s West Broadway Specific Plan and on the Town of Truckee’s General Plan Update and Downtown Specific Plan and EIR, and he is beginning the update to the City of Sunnyvale’s Downtown Specific Plan. For the private sector, Allen is leading master planning assignments for developers of new and revitalized suburban communities in Northern California in the Cities of Antioch, West Sacramento, and Sacramento. He has developed master plans for corporate, institutional, and academic clients in the US and internationally, including Sandia National Laboratories, Lawrence Livermore Laboratories, Microsoft and Alza (Now Google) campuses in the Bay Area, and McClellan Park and Aerojet in Sacramento County. Allen served as project director of a significant new town located in Singapore. He led the multi-disciplinary team that initially won the international competition and subsequently completed a comprehensive Master Plan for the Tengah New Town. The 1,800 acre site is under construction and will provide approximately 50,000 housing units for Singapore residents within a transit rich environment. Allen has lectured in the United States and Asia on the benefits of transit-oriented development and livable cities and is often a guest lecturer at the University of California, Davis. Active in the Urban Land Institute (ULI) for over 20 years, he served as the Sacramento District Council Chair and has been a member on several national product councils, including, the Transit-Oriented Development Council and Mixed-Use Development Council. He has participated in more than 15 ULI Advisory Services panels in the US and Asia convened to assist cities in solving downtown and neighborhood redevelopment issues. In 2014, Allen was presented with a Lifetime Achievement Award from Temple University, and he was recognized as the ULI Sacramento District’s Member of the Year in 2017. On a personal note, Allen has travelled extensively throughout the world, with an in-depth knowledge of the people, food, and cultures of Southeast Asia. He serves as Ascent’s in-house trip advisor and Vietnamese Pho expert.